VAT is sucking the lifeblood out of poor households and killing our economy. Money is not circulating around our country. 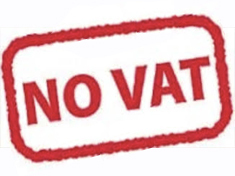 VAT has decimated the rural economy and caused many businesses to close down and fire employees. VAT has caused thousands of job losses. A Green government will abolish VAT in order to resuscitate our economy and get money circulating around our people. Over 90% of the revenue collected by the incompetent ULP government is from taxes and fines from the people. We will reduce the tax burden on our people by building a strong economy.